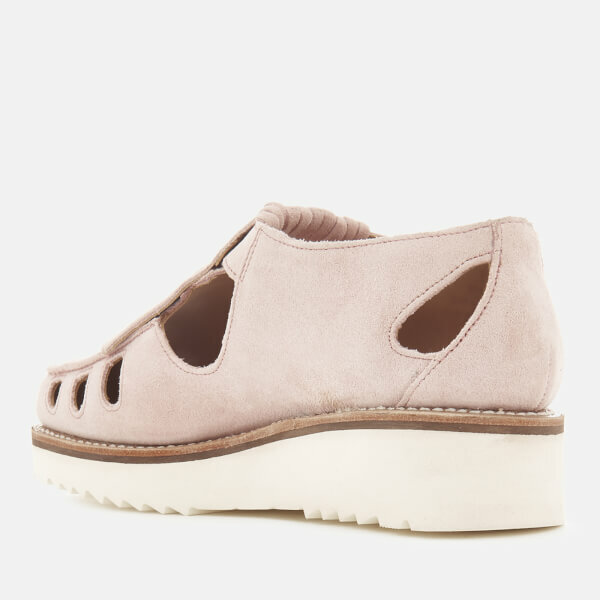 Grenson ‘Ethel’ suede flats with all over cutout details and a chunky wedge sole. 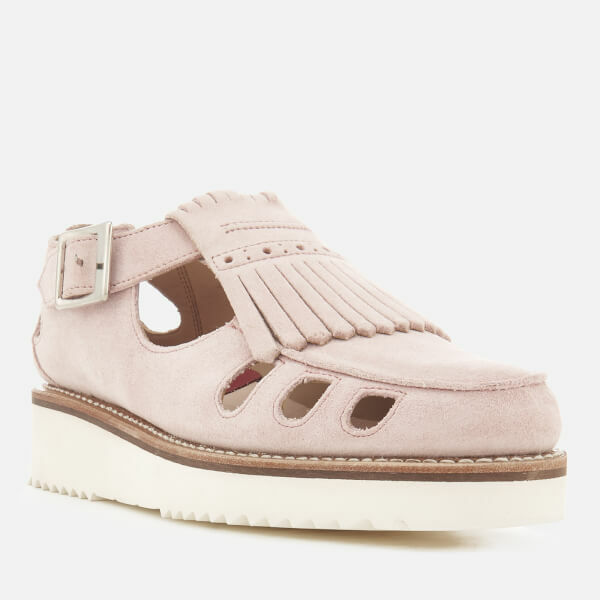 Crafted from smooth pink suede, the sandals are designed with a buckle fastening to the outer side, a kiltie fringe with perforations and a round toe with raised seam detail. 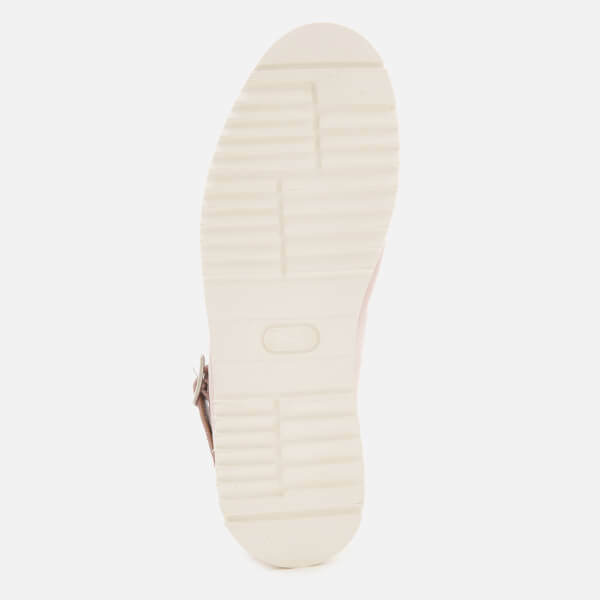 A lightweight, white XL ExtraLight® wedge sole with ridged detail provides added traction. Complete with contrast white stitching around the welt, silver-tone hardware and a red leather footbed with signature branding.